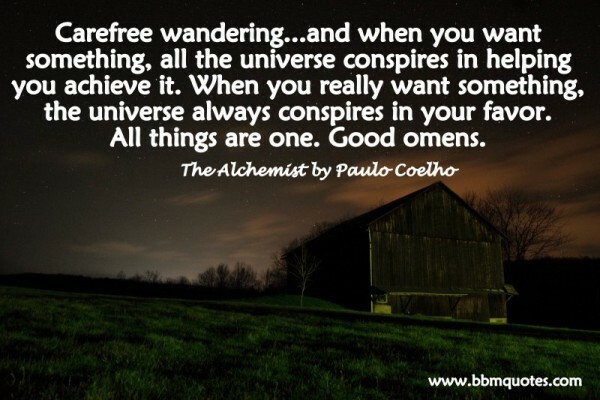 The Alchemist by Paulo Coelho | Carefree wandering…and when you want something, all the universe conspires in helping you achieve it. When you really want something, the universe always conspires in your favor. All things are one. Good omens.